Synopsis :﻿ Casi is a hotshot public defender working on the front line of America's War on Drugs. So far he's on the winning side. He's never lost a case. But nothing lasts forever, and pride like his has a long way to fall. 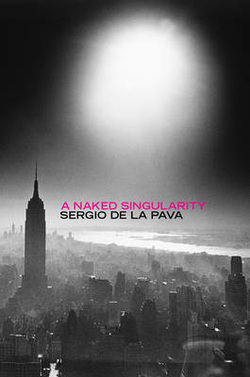 Funny, smart and always surprising, A Naked Singularity speaks a language all of its own and reads like nothing else ever written. Casi's beautiful mind and planetary intelligence make him an inimitable and unforgettable narrator. In De La Pava's hands, the labyrinthine miseries of the New York Justice System are as layered and diabolical as Dante's nine circles of Hell. But the Devil doesn't hog the best lines. There are plenty here to go around.